Ooh la la! Bright and chic, this jewel-toned arrangement is the perfect way to celebrate a special birthday, anniversary, and more! 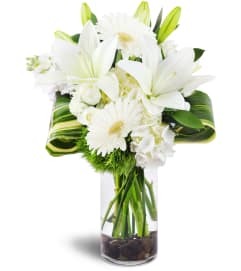 Stunning Stargazer lilies take center stage - they'll be thrilled! 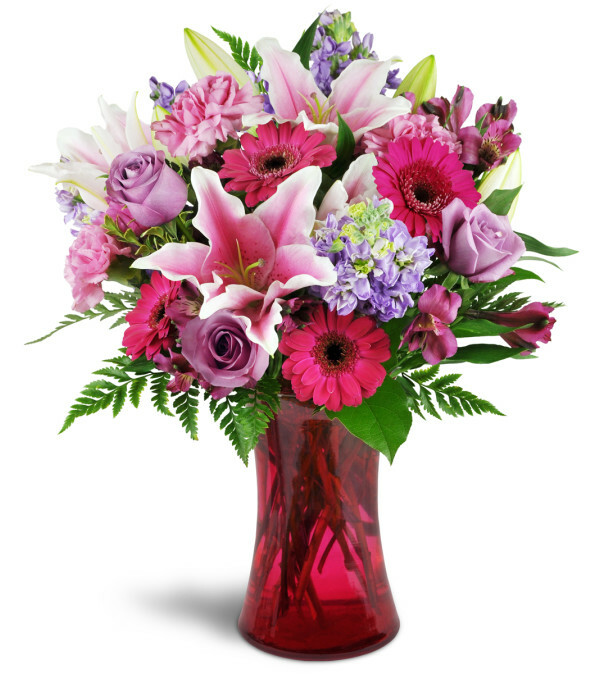 Stargazer lilies, bright fuchsia mini Gerbera daisies, lavender roses, and more are arranged in a sleek pink glass vase.